There is only one place in our little community where visitors can admire the view without actually having to set foot on the sand. 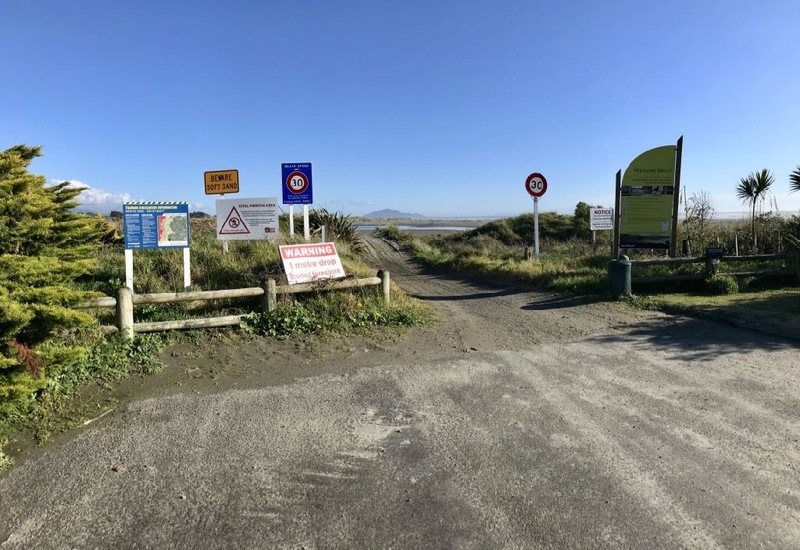 It’s the vehicle entrance where cars etc can access the beach (sometimes). Unfortunately that means it’s cluttered with a sprinkling of signage, as seen in the photo. There used to be even more signs but someone cut some of them down. It’s a small dream of mine to somehow get this area ‘cleaned up’ and perhaps even get an accessible seat installed on a wee platform. Too many signs at the vehicle entrance. Kāpiti Island (20 Km away) in the background.